Elaborate engraved tablet in Saint Peter's church. 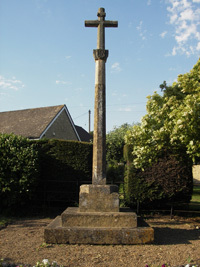 The main war memorial is a stone cross at the entrance to the village, opposite the drive to Dumbleton Hall Hotel. 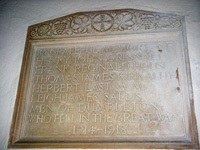 Names as per tablet in the church, but now becoming hard to read. Dumbleton Hall is now a high class hotel but previously was previously owned by the Post Office Fellowship.